Two people were shot and injured on an Interstate 880 off-ramp in Hayward late Sunday, according to the California Highway Patrol. 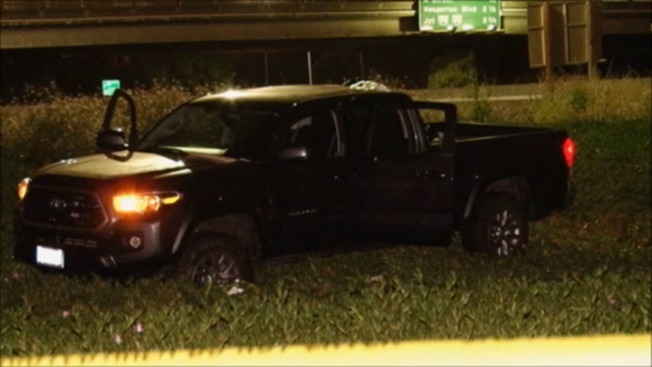 A Toyota Tacoma was exiting the freeway at the southbound Winton Avenue off-ramp around 9:15 p.m. when an unknown vehicle likely pulled up to the driver's side and opened fire, CHP Sgt. Brad Hopkins said. Two of the three people sitting inside the Tacoma were struck by bullets, Hopkins said. They both sustained non-life threatening injuries and were transported to the hospital in stable condition. The suspect vehicle sped away from the scene in an unknown direction, Hopkins said. It is unclear what led up to the shooting, according to Hopkins. While authorities investigated the shooting, on-ramps and off-ramps for I-880 at Winton Avenue were blocked for multiple hours, according to the CHP.